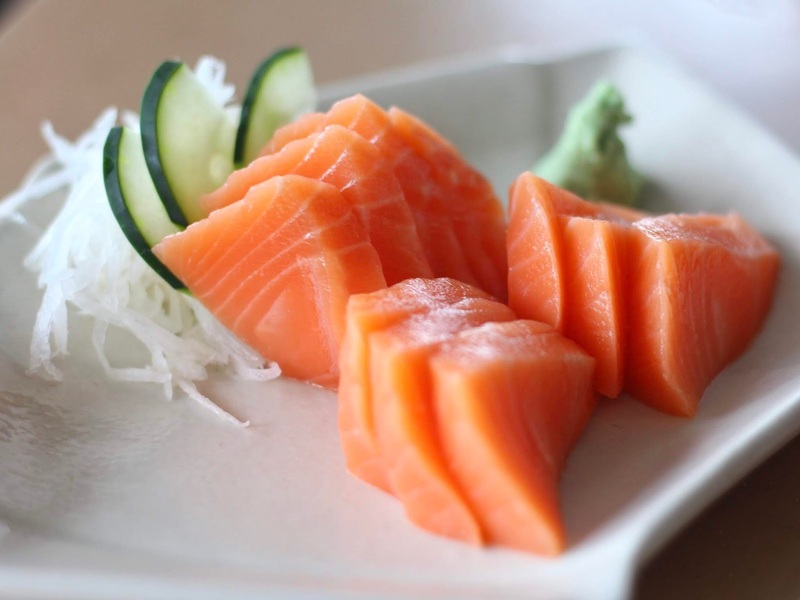 From hating everything raw to constantly craving for sashimi - that’s me! My sashimi obsession quickly developed compared to the past years, and it’s weird that I am starting to slowly unlock this love for Japanese food I never thought I had by looking for the cheapest sashimi offerings around. My boyfriend has been a loyal customer of Omakase (when they still had a branch at Ayala Triangle), and it’s a restaurant that’s been coming up whenever we are looking for a place serving Japanese cuisine. This time around, I decided to take his suggestion and pay his old friend a visit. Like I said, I’ve been constantly craving for sashimi for the past couple of weeks, so there wasn’t a doubt in my mind that I’d be having their salmon sashimi. To my surprise, they are offering a plate with 10pcs of it for only P250! Imagine my joy when I learned about it LOL! Anyways, yes, it’s cheap, but it somehow had this texture that I didn’t appreciate. It was good, but I finished that plate quite unsatisfied. I ordered the gyu chisu maki just so I’d have something else to eat in case I don’t get full from the sashimi. It’s a roll made of fried, breaded beef filled with soft cheese, sliced into 9pcs. I wasn’t very pleased with its taste since the beef was tasteless, the breading was too thick, and the cheese wasn’t even slightly melted. My boyfriend ordered the chirashi don, which is a bowl of sushi rice topped with assorted raw seafood and served with miso soup. If you’re a solid fan of sashimi, then a bowl with a little bit of everything you’d want surely wouldn’t be the worst item to order. Omakase proved to be one of the cheapest yet fairly decent Japanese restaurants I have tried since the beginning of my sashimi obsession. It may have not been the best experience I’ve had, but it’s worth including on my list of go-to Japanese restaurants.